Not only is living in Chamonix a dream come true with the incredible adventure playground we have on our doorstep, but the accessibility we have to other places is amazing too. 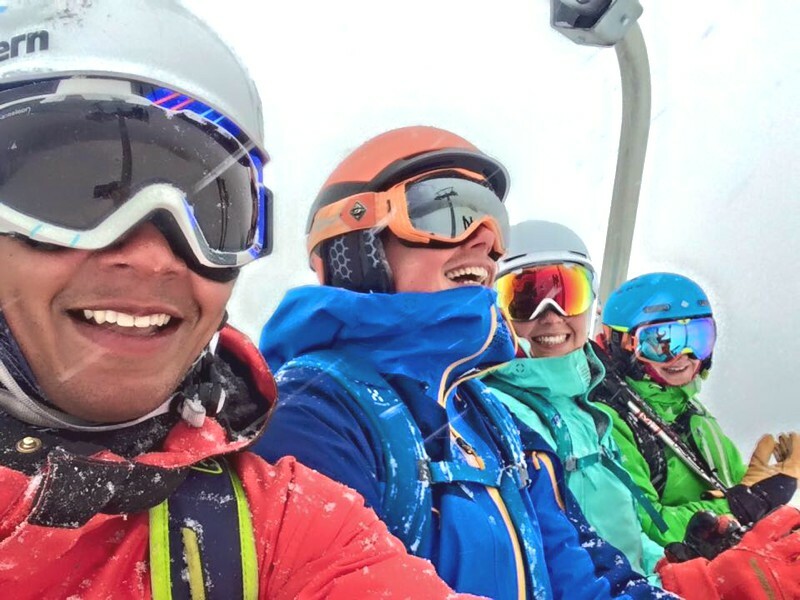 Within 20 minutes we were pulling into the carpark by the lift station at Courmayeur and what we saw made our eager smiling faces become even more eager. Fresh snow! It seemed as though it had already been dumping for hours. Charley and I are fairly new to skiing, with Charley taking his first lessons a few weeks ago. 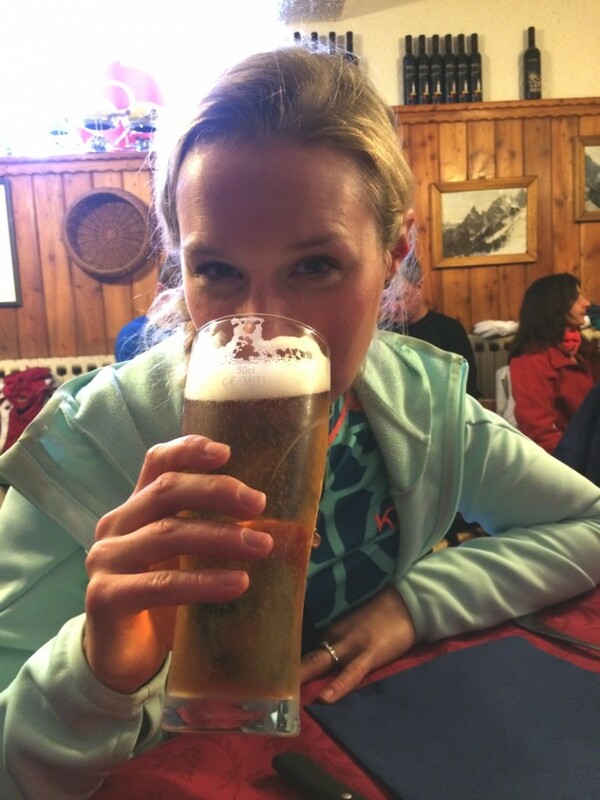 I skied a bit when I was younger but then put it on the back burner for about ten years over uni and whilst I was getting into other adventure sports. Since moving to Chamonix, we bought a full ski-touring set up from the EpicTV shop and are really happy with the choices we made in our kit. 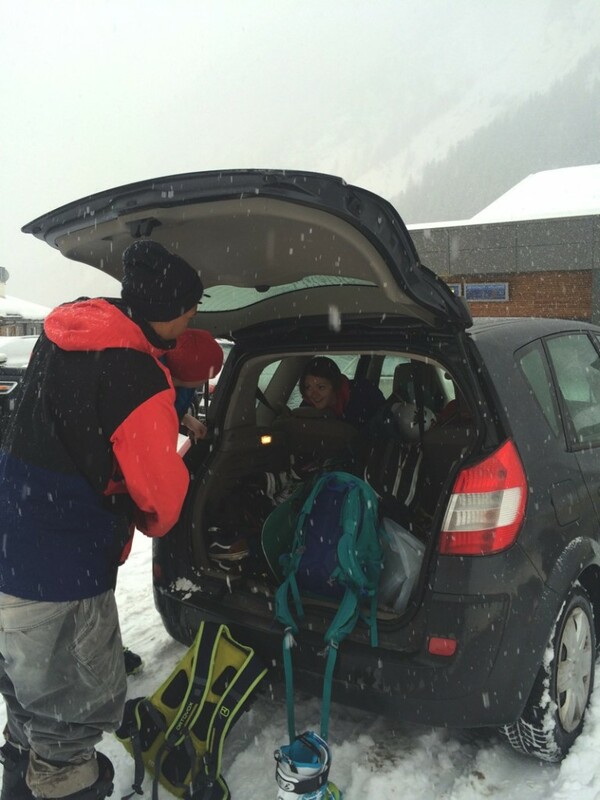 This was going to be our first chance to test our kit and skills in powder! I met Andy working at EpicTV last year and I met Heather through climbing and adventuring in Chamonix. She's about to launch a Women's Mountain Collective, supporting and promoting women in adventure sports, watch this space! 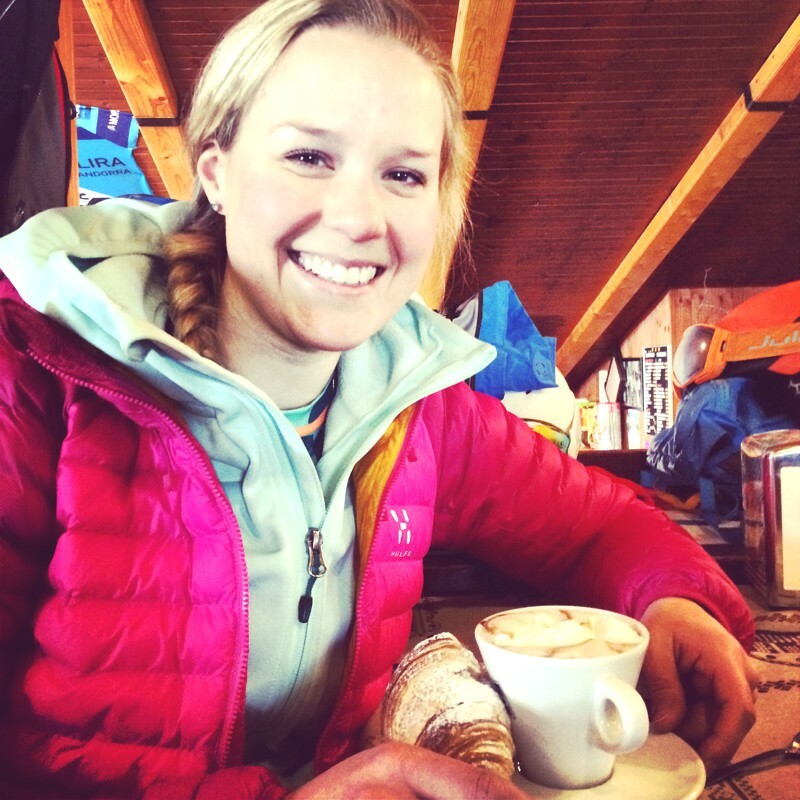 Heather's been living in Cham for a few years and agreed to guide our hunt for the best pistes, tree runs and pizza! Before we clipped into our skis we were already addressing the most important question of the day, "have you had a crema?" That was the decision made. 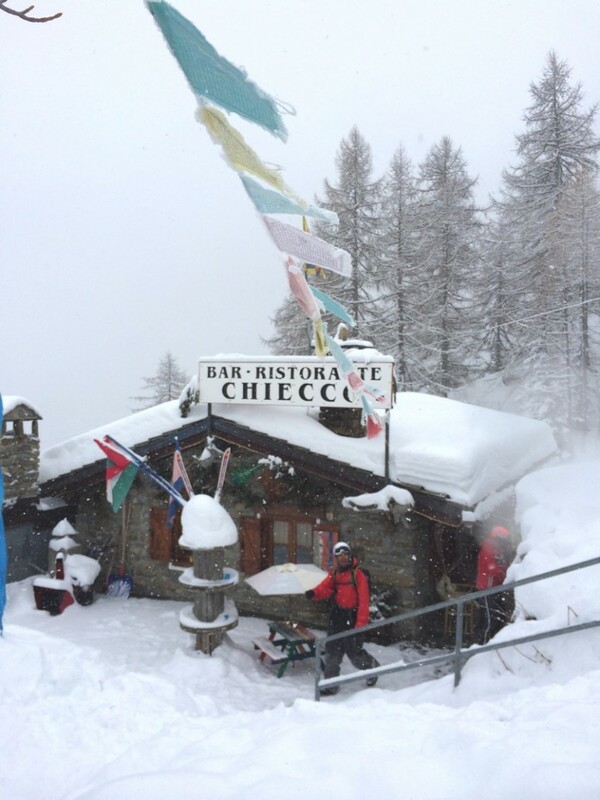 We would ski a few runs and stop for hot drinks and a crema, ski some more, stop for lunch, ski back to Courmayeur and drive home. It didn't stop snowing all day. 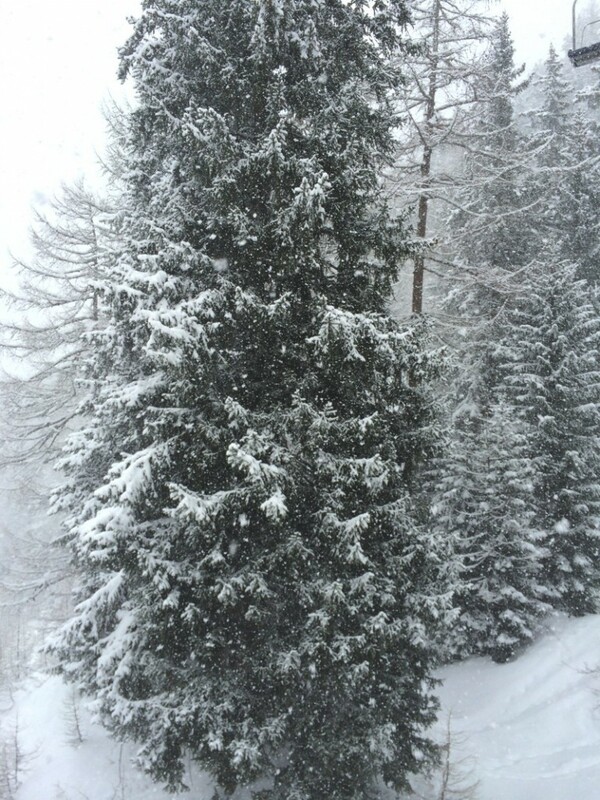 The snow was so beautiful and peaceful to watch whilst we sat on the chair lifts heading back up the mountain. It filled in our tracks by the time we came for another run and we were covered with it all day. The crema was divine! 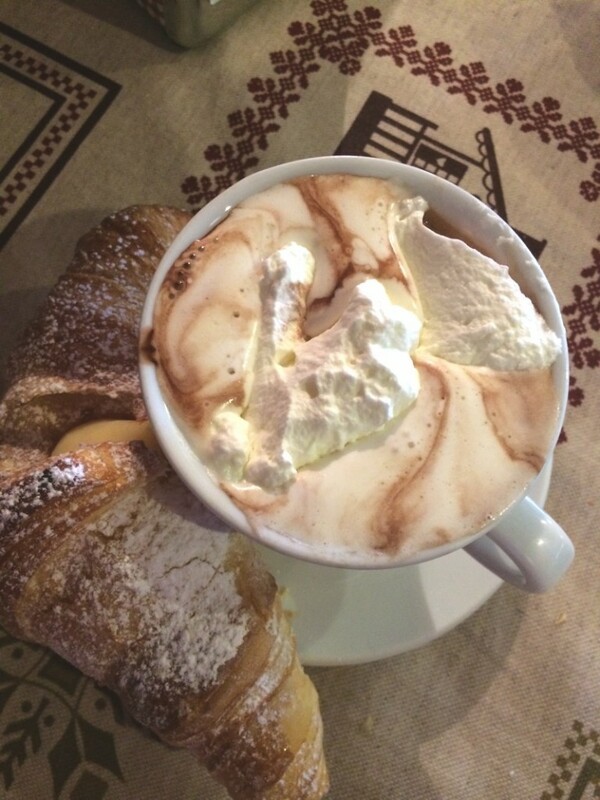 Freshly baked croissant with cream in the middle, accompanied by a seriously deluxe hot chocolate. Italians really know how to live don't they? You can't go wrong with Italy, always delicious food and friendly people. After our mid morning snack, we decided to venture off piste. Wahoo! Not just off piste but through the trees. If you are a seasoned skier, you may be wondering what the big deal is, but for me, this was a BIG first. Heather and Andy were amazing to ski with, totally encouraging which gave me confidence. 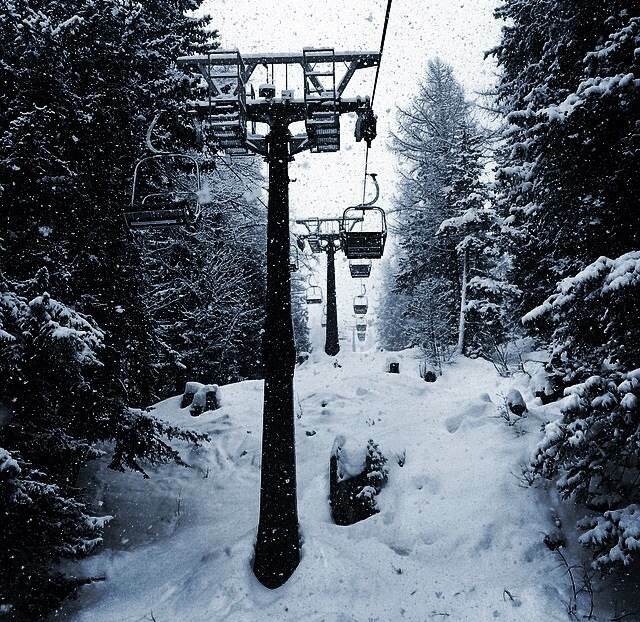 There I was, in the trees trying to do the turns, slipping and sliding a little bit and not trying to over think it. Instead of a wide open piste, I had a very small line to maneovere with and lots of obstacles in the way. Andy took his own line and bombed it down, we found him at the end covered in snow which is always a good sign when skiing with him! Heather stayed with us and patiently gave a few pointers to Charley and I. To be honest, we were both feeling totally out of our comfort zones, but that's what challenges us to improve. This felt like an adventure and a huge tick, finally being able to experience (on a very small level) what skiers talk and dream about. 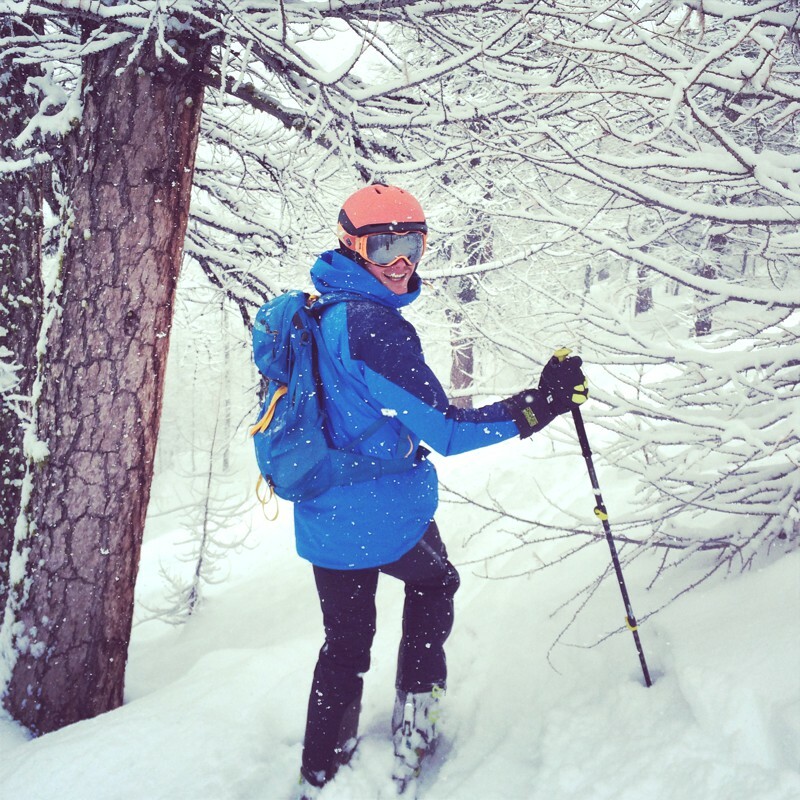 Powder skiing through the trees. After the first run, I was hooked and went again. We took a different line this time and I felt more confident knowing what to expect. It puts a lot more pressure on your legs with the deep turns and also probably because I was more tense than normal, so I felt knackered after a few runs. I realised that although it is scary knowing how much space you have to turn in and seeing the trees all around, the snow is soft and the angle of the slope steep enough that to stop it was pretty easy to fall into a heap of snow. Around 2pm we all looked at each other and could tell we were feeling it. We agreed to start heading over to our lunch spot, ok, just one more run then! The restaurant was exactly what we had been dreaming of! Cheap and cheerful with a long list of pizzas to choose from. It felt amazing to sit down and I think there was a collective "ahhhhh" from us all. You can see by our faces that we had a brilliant and happy day. Although Andy was slightly frustrated that his pizza came without tomato sauce! The whole day cost €28 each which included the cost of driving through the Mont Blanc Tunnel, petrol, breakfast and lunch on the slopes. 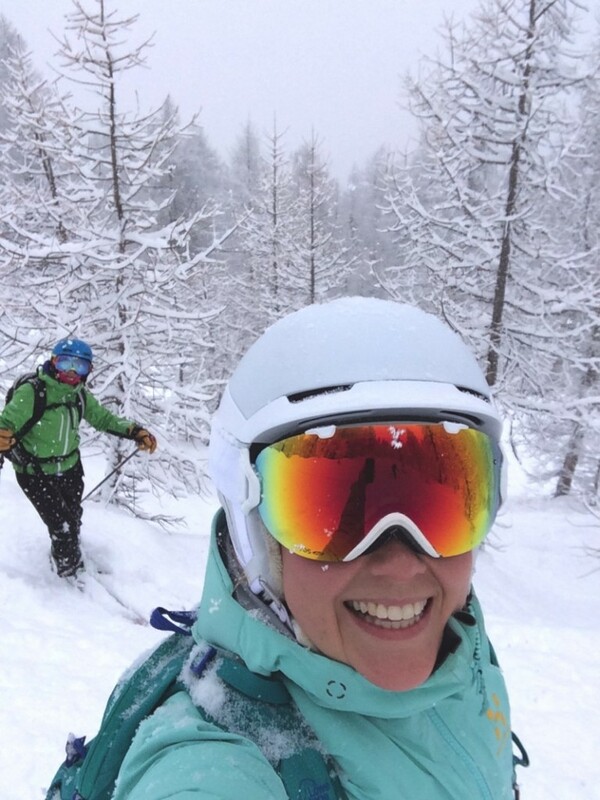 If you are looking for a ski holiday, I can highly recommend Courmayeur. If you do come this way, stop over in Chamonix and say hi. Thanks to the support we receive from Haglofs, Charley and I are wearing their Skade and Vassi ski jackets. I'm also wearing the Mimic light synthetic jacket and Vojd Q trousers. Haglofs are always a top choice for me when in the mountains as the kit is high quality and designed to endure hard use. As they sponsored the Alpine Coast to Coast I can vouch for this as we certainly put their kit to the test! I receive comments everytime I go out dressed in Haglofs, the colours are always bright and that suits me to a T.